Repower Energy Development Corporation (REDC) is a renewable energy developer of mini-hydropower projects through a "clustered approach method" where several projects are in a target area providing for shared economies of scale through common infrastructure, reducing the cost of development and improving the bottom line. REDC has 124 MW of mini-hydropower projects clustered in Laguna, Quezon, Camarines Sur, Bukidnon, and other Provinces under development. This represents a USD500M investment in mini-hydropower development. REDC plans to rapidly grow through strategic acquisition of existing hydropower plants, enhancing their value through operational improvements, focused redevelopment, and the introduction of the latest European technologies. It continues to search for other viable mini-hydropower projects, aiming to be a niche player in the renewable energy industry and to expand its footprint all over the country. 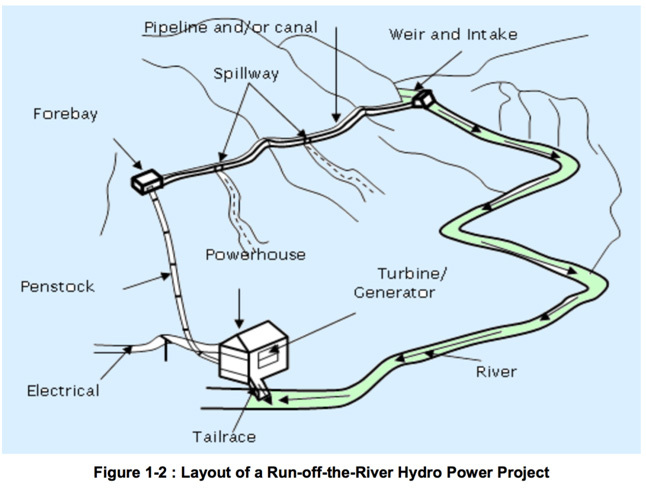 Hydropower is a general short term for hydroelectric project. The basic principle of any hydroelectric project is that if water can be directed to flow from a higher level to a lower level, then the resulting water pressure by the water flow and gravity can be used to do work. conversion of the potential energy of the water into mechanical energy. 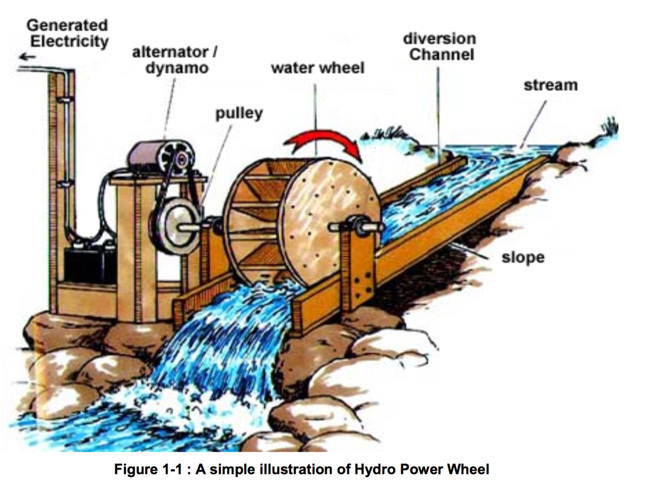 Hydro turbines convert water pressure into mechanical shaft power, which can be used to drive a useful device such as an electric generator. are required to efficiently control the river flow. These components are presented hereunder. Storage plants which utilize dams have implementation problems related to social acceptability because in some cases, entire barangays will be submerged under water for the project. Hence, in the Philippines, run-off-the-river plants are preferred and commonly found in most existing installations because of lesser social-related problems, foremost of which is the resistance of the people. The Department of Energy (DOE) requires a watershed improvement plan in the final conclusion of the operations contract. Additionally, mini-hydropower developers are intrinsically incentivized to preserve the forest cover in order to maintain both water quality and quantity. Compared to a typical coal or gas power plant, a hydropower plant does not produce CO2 and prevents about 0.60 Kg of CO2 per KW-Hour of generation from entering the atmosphere, thus for One (1) Mega Watt Mini-hydro plant with an annual energy production of 4.4 Million KW-Hour at 50% Plant Factor, the emissions saved, were the energy to come from an equivalent fossil fuel-fed power plant is 4.4 M x 0.60 KG = 2.64 M KG or 2,640 Tons of CO2 per MW. This is equivalent to the annual CO2 emissions of 600 passenger cars. In order to fuel typical gas power plants, the Philippine government imports X amounts of oil a year. A hydropower plant on the hand needs no oil to run and thus saves (0.30 liters of oil / kw-hr) x 4.4 million Kw-hrs. for 1 MW mini-hydro at 50% plant factor = 1.32 million liters of fossil based fuel will be saved or 8,300 barrels. Thus a hydropower plant saves the Philippine government about US$ 500,000 / year / MW worth of oil imports assuming price per barrel is at US$ 60. Further, government directives under RA 9513 (Energy Act of 2008) provides numerous incentives related to run of river hydropower projects. Balugbog Mini-Hydro Power Plant in Nagcarlan, Laguna. Palakpakin Mini-Hydro Power Plant in San Pablo City and Calauan, Laguna. Calibato Mini-Hydro Power Plant in San Pablo City, Laguna. Under REDC’s direction, PHILPODECO shall embark on a three-pronged comprehensive operational improvement program composed of equipment modernization, organizational restructuring, and enhanced financial management. It shall utilize the latest technologies to upgrade, expand, and automate its hydropower facilities. In addition, organizational restructuring activities will result in a leaner and more effective workforce that is most suitable for the changing times. Last but not the least, appropriate financial management methods will be implemented in line with corporate governance requirements. At 88 years old and counting, PHILPODECO's mini-hydropower plants are historically the Philippines’ oldest operating plants. After improvements that will be introduced by REDC, we expect the three mini-hydropower plants will not only continue to operate but increase its present production for the next one hundred years to come - cementing a lasting legacy in the Philippine hydropower industry. For other subsidiaries of REDC please refer to the organizational chart. Pure Energy Holdings Corporation. Copyright 2016.